Howard is a regular lucid dreamer who likes finding ways to increase his lucid dreaming episodes and help others do the same. During a lucid dream, it’s possible to see someone specific, whomever you want. 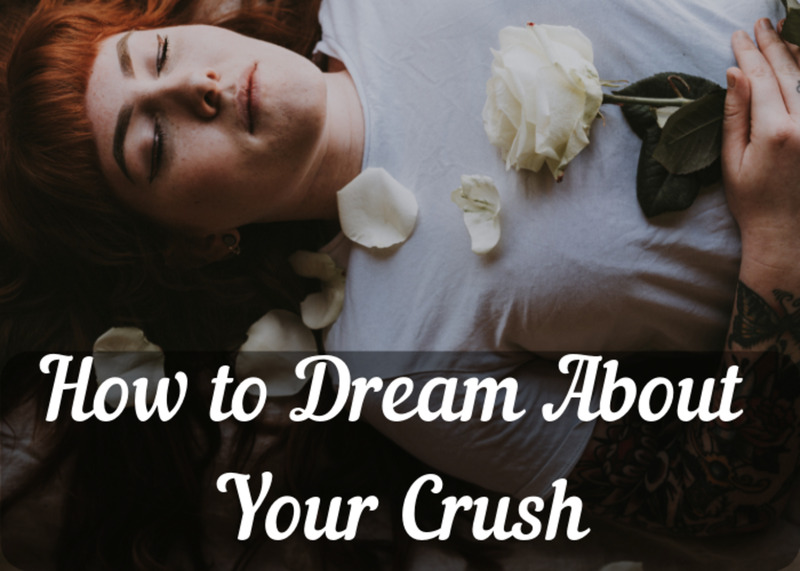 If you’re interested in learning how to dream about a particular person, it’s necessary that you already have already had some success in achieving lucidity. Having lucid dreams, at least semi-regularly, will give you the opportunities you need to practice the following techniques. If lucid dreaming is new to you, or you still struggle to reach or maintain lucidity in a dream, there’s lots of good information available to help you work on this. 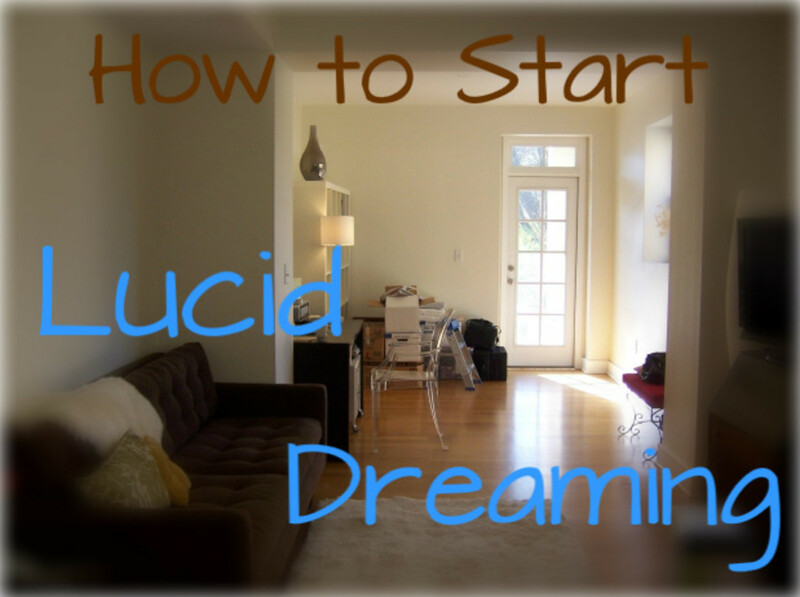 Use your favorite lucid dreaming resource to learn the basics first. I also have an article on lucid dreaming for beginners that will help you get started if you're new to the world of lucid dreams. When you think you’re sufficiently competent in those skills, here’s the next step I suggest. Just don't ask me anything about the waking world; I don't know a thing about it. An important prerequisite is to set it firmly in your mind that when you’re dreaming you will see this person whenever you want. Tell yourself that when you become lucid, it will be easy to find this person. This should be done multiple times a day until it comes to mind in your dreams. Once you’re lucid, you need to stay relaxed. If you’re tense or worse yet, desperate, it won’t work. Remember that your dream scene is being created by your mind, so your emotions affect what happens. If you’re worried that it won’t work, your mind will find a way to create endless obstacles until your dream time runs out or it breaks down. I’ll go over the various methods now, and then outline a brief pre-bed routine to help prime your mind for success. All of the methods must be done with confidence and calmness. Try not to get too discouraged if you only make it partway, or fail to get anywhere. It’s not unusual to have to make many attempts at various stages before you can stay in the right frame of mind to succeed. Once you become lucid and stabilize your dream, any of the following methods could allow you to see a particular person. Experiment with them all, or focus on the one or two that appeal to you the most. 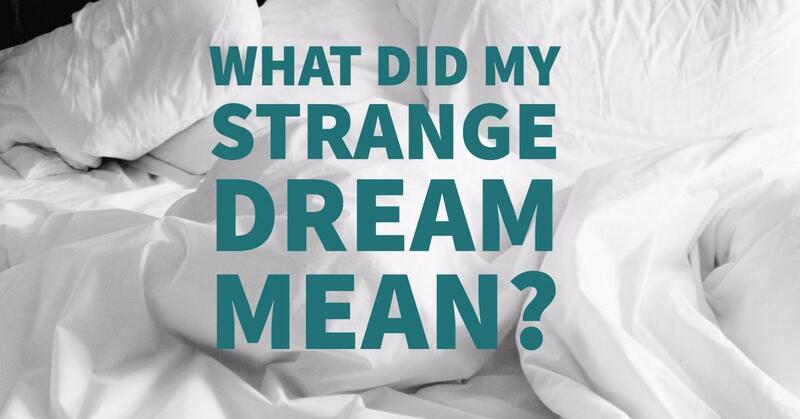 Here are six different methods for getting someone you like to appear in your dream. Keep in mind that these are not guaranteed to work and you may need to practice using them a couple of times before they start to pay off for you. Tell yourself that they are behind the door or around the corner. Ask them to take your hand. Spin around for about 5-10 seconds. During the spin, picture the scene you want to enter, including your person of choice. Stop spinning, convinced that the scene and person will materialize. Close your dream eyes and imagine the room or venue with the person of your choice in it. Wait until the picture is strong, then, open your eyes with complete expectation that you will enter the scene. If there’s a door in your dream, tell yourself that ____ is behind the door. Open it with the expectation that you’ll see them. Another way to do it is to knock on the door. You can believe that the person will answer. Or if you prefer, have no expectation about who will answer, and instead, tell that person that you’re here to see ____, believing that they’ll get the person and be right back. A recurring location in my lucid dreams is the hallway of an apartment building; so many doors, so many chances for this method to work. Another way is to walk to a corner, expecting the person to be on the other side. If there are other people present, ask one of them where your person of choice is. Have the expectation that they will point the person out directly or point to a location very close by. If your dream is set near a place that your person would be, go there. It could be their home, school, place of work—anywhere you’d expect to see them. I only recommend this method if the place is really close by. If possible, fly to the location so you get there quickly. If the travel takes too long it’s easy to get distracted along the way; at worst you can lose your lucidity, at best it uses up your dream time. Close your eyes, extend your hands and say “Take my hand ____.” Wait happily and expect the person to take your hand. When you feel it, open your eyes and there they are. When the person is in sight, it’s critical to remain calm. Don’t get stressed that the person doesn’t want to see you. Don’t take any action that suggests the person wants to get away from you, like running towards them, or trying to sneak up on them. Greet the person happily and fully expect that they’ve been waiting for you and are glad to see you. If you make it this far, congratulations! It should only get easier the more you try. As you’re lying in bed, before going to sleep, imagine a dream scene where you become lucid, say “I’m going to see _____ now”, and with a calm attitude, enact the technique of your choice. Picture the person appearing and greet them cheerfully. Imagine them greeting you happily, in whatever way you choose—with a smile, a hug, or whatever seems most natural. Being able to dream about whomever you want with some regularity isn’t easy. The information given here is only a starting point. Keep thinking about your dreams, including where things tend to go wrong. 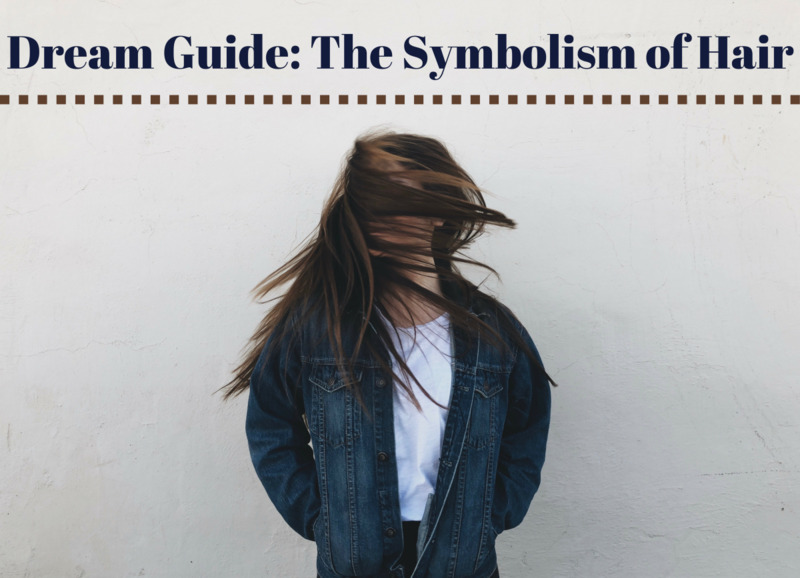 As you gain experience with this form of dream control, you might even think of a way yourself that’s well suited to your dreams. Ideally, you’ll enjoy the entire process of lucid dreaming and dream control, without getting too frustrated (and I know it can be terribly frustrating, especially when you lose the dream or person at the last moment), keeping in mind that you have a lifetime to practice and explore. I hope this helps, and keep at it! 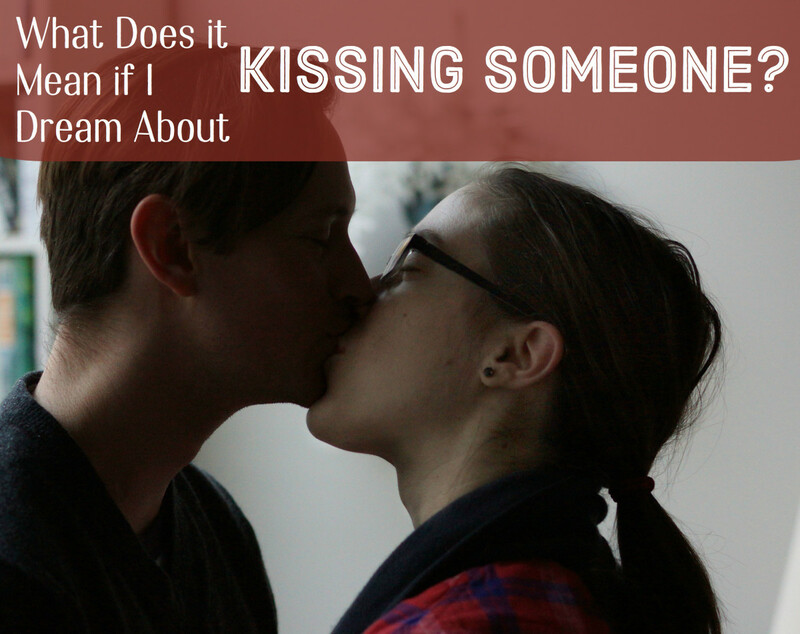 What Does It Mean When I Dream About Kissing? It's funny, the few dreams I was able to somewhat control where nightmares. I was like "its fine" and then i would curl up, close my "dream eyes" and think about music i like or people/characters I like. I once got Loki to show up in one of my nightmares. Btw, I would be terrified about method 3; many horror games use that as a resource and so my brain is just like "nope"
You're in a small group to lucid dream that often! I'm not aware of any danger though. I always Lucid dream every night, it's Pretty cool, it's just kinda Dangerous! I'm very happy to say this actually worked. Thanks! I'm not sure about how to dream more often. It might be a matter of remembering more of your dreams. Having dreams on your mind over a period of time might tell your brain they're more important. This could make it feel like you're dreaming more often if you remember more of them. There are methods of making your dreams longer, if you're lucid. Engaging your senses in the dream world is the standard. Rubbing your hands and arms together can ground you in the dream. Another really effective things is to spin around. The spin is particularly good when you feel the dream slipping away. It can propel you into a new scene instead. I want to dream about a guy I like but I’m a light sleeper and my dreams are always really short how can I dream of him more often and or longer? i remember lucid dreaming a few times, but one of them wasnt really a dream. I guess i could call it a lucid nightmare. I was Surf boarding and i remember there being a big shark and it bit me. Then i woke up and my leg was asleep, It was really weird. I'm not aware of any dangers or problems with lucid dreaming. i have one question, is lucid dreaming dangerous or does it have dark sides? That sounds like a #4. Nicely done. Glad you're having some lucid dreaming success. I've lucid dreamed before, but last time when he appeared, he said why did I ask him to go there at that time. The location was my school and he was anxious at first because of the fans. We ended up video chatting. Also, I didn't mean to lucid dream, but ended up saying that I wish he was there with me. One of the girls left class (we werent doing anything in music) and got him, so yay #4? Being lucid and exerting some control over a dream while also letting it play out naturally is a tough balance to strike. It's hard to experience the twists of a dream and stay lucid at the same time. As the scene changes or the people change it's easy to become distracted and forget you're dreaming. I can only suggest that you keep reminding yourself that you're lucid throughout the dream. I sometimes have excellent lucid dreams, and other times I get into a lucid dream and lose my control pretty easily. I keep doing reality checks and make records of my most vivid dreams, what more can I do to consistently have lucid dreams where I am able to meet someone? 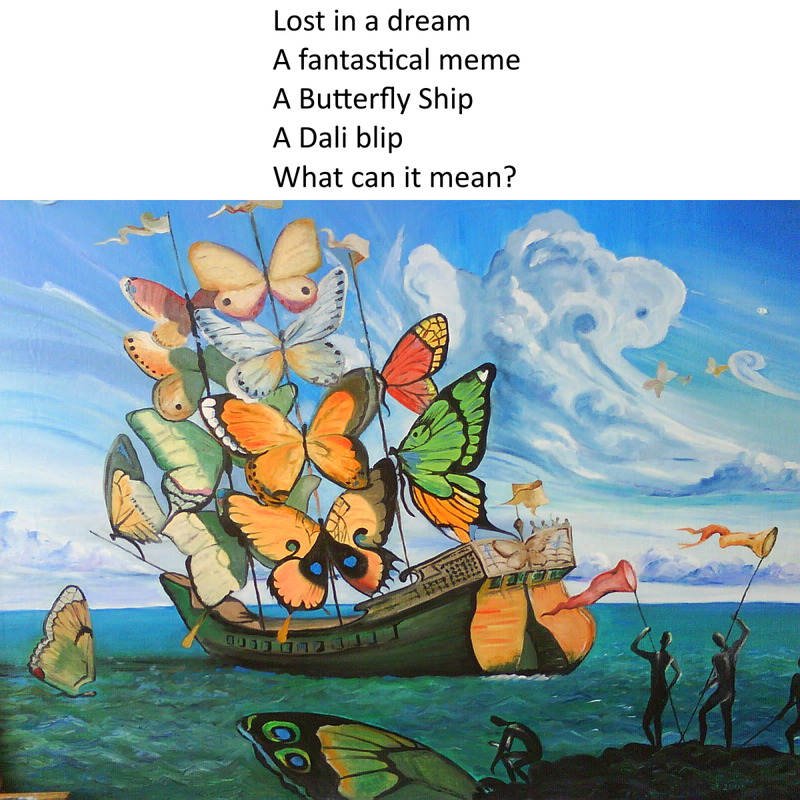 The last time I was successful, I had a very long and vivid lucid dream, I set the initial scene I wanted and then after a storyline began to build, I decided to see where the dream would take me. I want to continue the dream with this person from exactly where I left but have had difficulty doing so, because I also want to course of the dream to take place more naturally as it did last time. How can I do this? The fact that this is recurring is good news. You can daydream this situation repeatedly until you automatically doubt what your mother is telling you and reality check instead. Picture yourself in a lucid dream. Have your mother enter the scene and tell you you're not dreaming. This will be the trigger for you. Set it in your mind that when your mother tells you you're not dreaming that you have to reality check. When you reconfirm that you're dreaming, tell your mother you need to meet with ___ for a while. Ask her to make sure no one bothers you. A common problem with seeing people in a dream is getting intruded on by someone else. I find it effective to ask another dream character to take care of this for me. I’ve has this recurring issue whilst lucid dreaming where my mother comes in to my dream and manages to convince me that I’m no longer dreaming and that everything is real. How do I prevent this from happening? I’ve had a dream where I managed to meet the person of my choice and wished to continue it, but last night I was stopped from doing so because of this issue. Waking up while lucid is always a possibility. It's really disappointing. It sounds like you were doing well. The cat might have distracted you enough to wake up but it's hard to know for sure. I find the best thing is to remind myself throughout the dream that I'm lucid and stay focused on what I want to do. The usual strategy is to engage your senses so you're fully in the dream world - look around, listen, smell the air, and touch something (rubbing your hands and arms is good). There are no guarantees though. Sometimes we're going to wake up. Hello again, and sorry to keep troubling you. So last night, I was finally able to have a lucid dream where the person I wanted to meet was acting of their own accord, without me consciously thinking about what they should do first. I found them walking around, and then followed them and they came to a cornered space and just as I was about to speak to them, my cat appeared. I was still aware I was dreaming at this point but thought that briefly petting my cat wouldn’t delay me that much in meeting the person, and I thought that now I was lucid and had a day where I knew I did not have to wake up as early as usual, if I felt myself waking up I would be able to pull myself back into the dream. The problem was, as soon as I stood up from petting my cat and was about to turn around and meet the person who was patiently waiting for me, I woke up so instantly that I could not stop it. I felt very in control of my dream when with my cat and felt like I wasn’t petting him for much more than ten seconds. What could have caused me to wake up, and how could I prevent it in the future when it happened so suddenly? I know usually that I am limited on time to sleep, but while lucid, I was fully aware that I could allow myself plenty more time to sleep last night, so I don’t think it was because of that. This sounds like a tricky one. Any dream character knows what you know, so this is bound to happen. You're expectation was right but things won't always go the way we want in a dream. Thank you for your fast response. Following on from that, I specifically met them at a time before a certain event happened, however, when I made a reference to that event, instead of the expectation that they would not know what I was talking about, they seemed to know exactly what I was talking about. Is this again to do with the fact that my own thoughts were derailing them too much, or is it that I travelled to the wrong time? This sounds like something you would have to set in your mind daily until it sticks. I would tell myself that when I see this person they will be relaxed and enjoy themselves and everything will be normal. I would do this until that thought occurred to me in my dream. Thinking of that before seeing this person should prevent other thoughts from derailing their behavior. So I’ve managed to lucid dream, and to meet the person I really want to, but they seem incredibly out of character because they only act based off of things I think of. How do I remain lucid, but not have as much control over them so that they come across more naturally? Yes, (1) In my experience things feel real while lucid dreaming. Sometimes they feel even more intense than when awake. (2) No, You can't be lucid and not realize it. 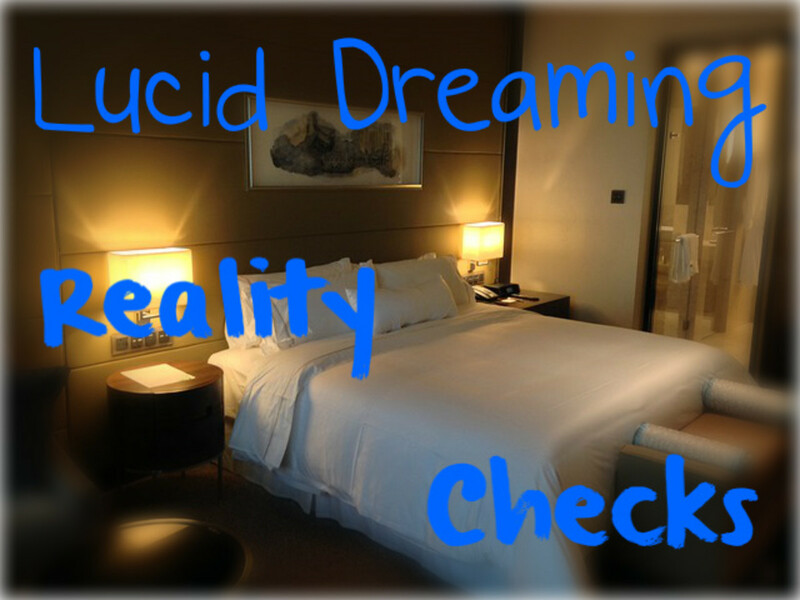 Being lucid means you are aware that you are dreaming. What you described sounds like a vivid dream but not a lucid one. 2. Can you be lucid and not realize it. I remember last night seeing my dream very, very clearly. I felt like I had a choice in what I did, but I wasn't thinking "I am dreaming". I was in a situation of the first time I met someone (It was NOTHING like the first time I met them, but I remember it being something like I was back to that moment and I did something different. Then an unamed (because it's emberassing) thing happened. Right then is when I felt like it was real, but I didn't know I was lucid. Also, I was able to feel (physically like it was real) the thing that happened. That is why I ask those two questions. It's good to be in the habit of reality checking every time you wake up. Then you will catch these false awakenings and get lucid. From there you can try breaking out of the paralysis by staying calm and moving your fingers and toes. After a while the movement should spread to your arms and legs and then you'll be able to get up. The same pattern happens with me! I am a very light sleeper, And can hear if someone around is speaking a little loudly. Sometimes my dream gets along with the topic people are discussing around me in their consciousness. Whenever i am lucid dreaming 5/10 chances of happening the same loop with me. Usually starting with lucid dream and ending on the bed realising that i am sleep paralyzied. When one session ends. I think i woke up this time, but it keeps on happening for atleast 7 to 8 times. Each time it takes roughly 2-5 minutes. And when i finally wake to my actual consciousness i find myself in a very coldest form. I would love to hear if you have anything that can help me through tis stage. It sounds like you need to experiment with lucid dreaming first. Getting comfortable with that is a necessary first step. I want to dream about someone I love. But I can't control my actions or thoughts in dreams. Being nervous almost always makes it impossible. I don't know what will help you relax so I can't suggest anything. That's something you can experiment with. I would try to view the whole process as an experiment so there's no pressure to make it work. I wanna dream with brendon urie but i canttt i get nervous and i just cant close my eyes any help? Yes. I have dreamed about fictional characters like they were real people. Is it possible to dream about a false character from perhaps a video game or a movie?